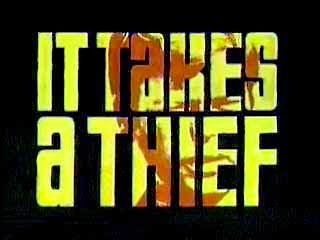 It Takes a Thief is an American action-adventure television series that aired on ABC for three seasons between January 9, 1968, and March 24, 1970. It stars Robert Wagner in his television debut as sophisticated thief Alexander Mundy, who works for the U.S. government in return for his release from prison. For most of the series, Malachi Throne played Noah Bain, Mundy's boss. Robert David "Dave" Grusin (born June 26, 1934) is an American composer, arranger and pianist. Grusin has composed many scores for feature films and television, and has won numerous awards for his soundtrack and record work, including an Academy Award and 12 Grammys. He has had a prolific recording career as an artist, arranger, producer and executive producer. YouTube search: "It Takes A Thief"